For us, Okamoto Toko is an artist Ikenaga Yasunari found. 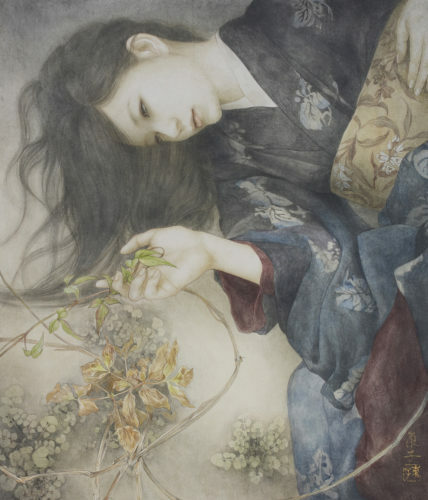 Ikenaga was looking for a “fellow” of a painter who painted a so-called beautiful women painting, like him. Then it was her name that he occasionally mentioned as a mysterious painter whose contact information was unknown. Her works found on the web site had a charm that took off with unfathomable fever and did not diverge our eyes. After many long years of search, we met with the chance and started exhibiting with us.